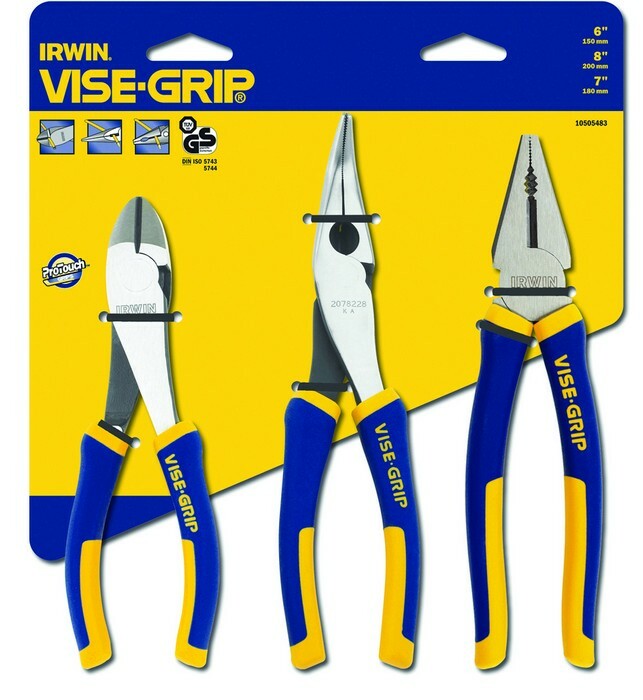 IRWIN® VISE-GRIP® pliers have induction hardened cutting edges which stay sharp longer. The pliers also feature machined jaws for maximum gripping strength and moulded ProTouch grips for added comfort and less hand fatigue. TüV/GS approvals demonstrate the high manufacturing standards of the VISE-GRIP® sub-brand.